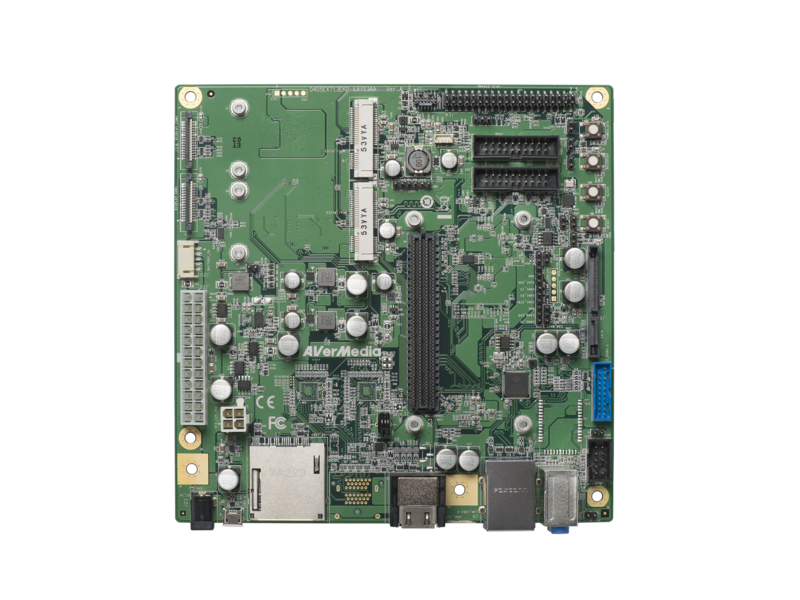 AVerMedia’s EX713-AA Carrier for NVIDIA® Jetson™ TX1/TX2 is designed for use in Intelligent Video Analysis. This product provides dual ports of Mini-PCIe Gen2.0 x1 to support AVerMedia’s Mini-PCIe capture cards, such as C353 for 1080p30 HDMI/VGA input, CM313B for 1080p30 3G-SDI input, and C351 for 4-channels SD composite inputs. These two mini-PCIe slots also support mini-PCIe Ethernet and EtherCAT cards for industrial motion control applications. The AVerMedia’s EX713-AA design includes 2x HDMI-out, 2x external USB 3.1 Gen1, 2x internal USB 3.1 Gen1, 1x Gigabit Ethernet RJ-45, 1x USB OTG, 1x SD card slot, 1x SATA, 2x Mini-PCIe, and 40 pins of I/O extension with 1x 3.3V UART, 1x SPI, 1x I2S, 1x I2C, and 7x GPIOs. This carrier follows Mini-ITX dimension (170mm x 170mm, 6.7” x 6.7”) to support Mini-ITX chassis and 1U server chassis. It is one of the best Application Ready Platform by supporting NVIDIA® Jetson™ TX1/TX2 for you to run the edge computing algorithm and start developing your potential market. AVerMedia offers 5 categories of Embedded Tegra Solutions for deep learning application on the edge devices, with the support of battery power and HDMI/VGA/3G-SDI/Composite video sources and the direct technical support by developers. 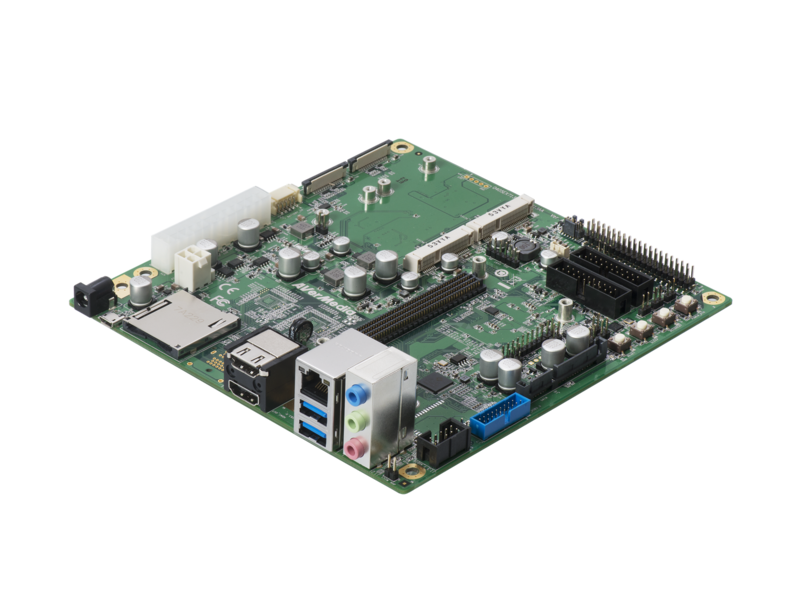 AVerMedia TK1/TX2 carrier board (EX713-AA) is designed to install in the standard Mini-ITX chassis with power supply and AVerMedia video capture cards to build a complete embedded application-ready system. Once the design and verification of our clients’ application software are done, the software can be installed on this application-ready-system and shipped for the field test and deployment on the end customer site. It can significantly help our clients reduce the development cycle time of turning their innovative design into a marketable product.